This summer has seen a substantial increase in tuning demand for the A20NFT engine. 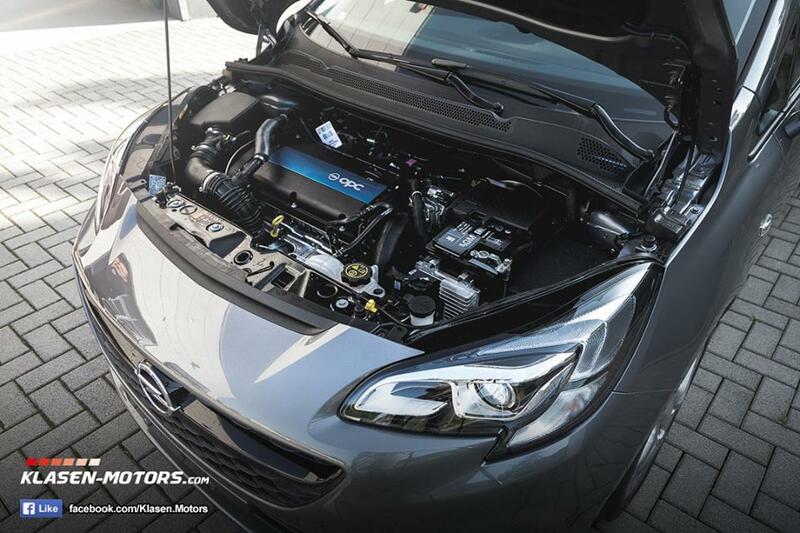 This combined with the ECU’s use in the new Corsa E VXR has seen us spending many hours on the dyno looking at data with Stephan getting his teeth firmly into the intricacies, oddities, protocol and hidden depths of the Delco ECU required for example in bigger airflow and turbo applications. With Stephan visiting us this week we took the opportunity carry out some further testing work on our own Astra J VXR, already fitted with our Courtenay Sport Racing intercooler and full turbo back 3″ (76mm) twin silenced exhaust system. A lot of time was spent with the car on the rolling road and further updates were made to the software. One of the objectives this week was to further test and calibrate our soon to be released induction kit in order to to fully understand where the best gains are made. To do this a number of filter and air mass housing combinations were tested before finally settling on our preferred design for the A20NFT engine. 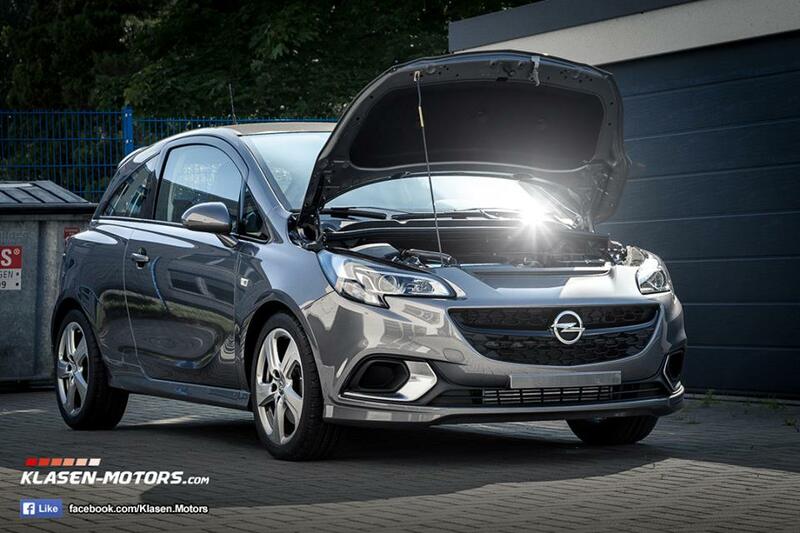 We are pleased to announce that the tuning program for the Corsa E VXR has begun. Stephan Klasen (our mapping engineer) has purchased a Corsa E VXR in ‘Shiny Rock’ Grey for a whole host of development work to compliment further existing on-going development on our own Astra J VXR, as the Corsa E shares the same GM – Delphi ECU with the Astra J VXR. So far we have completed Stage 1 which is just a bespoke ecu remap to the standard car with full rolling road set up and optimisation and Stage 1.5 which has the addition of a front pipe complimented by the bespoke ecu remap. 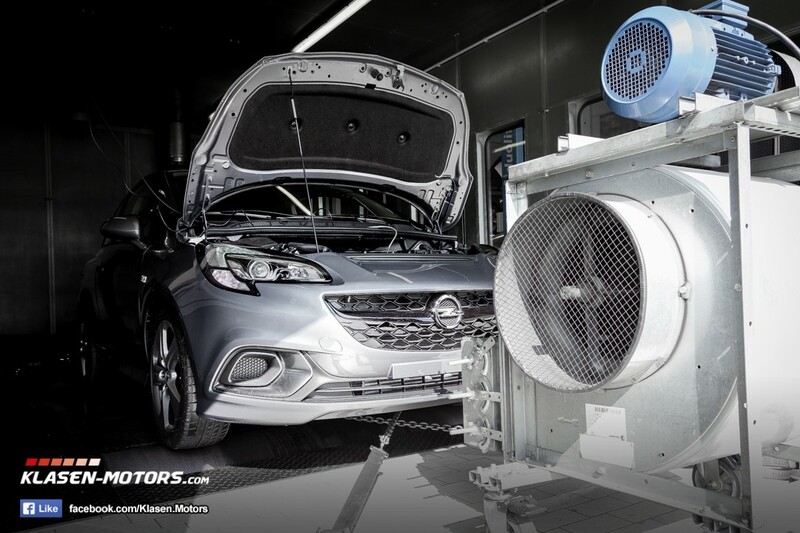 The car had a number of runs to bench mark its base power as delivered from Opel. With the engine fresh out of the box and with less than 100 kilometres on the clock the standard power was recorded at 203 bhp and 208 lbs ft of torque. 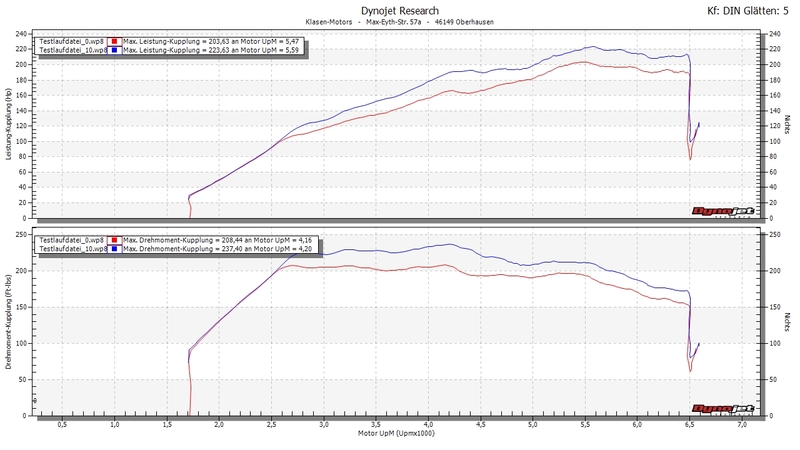 Following Stage 1 remapping the power increased to 223 bhp with 237 lbs ft of torque. 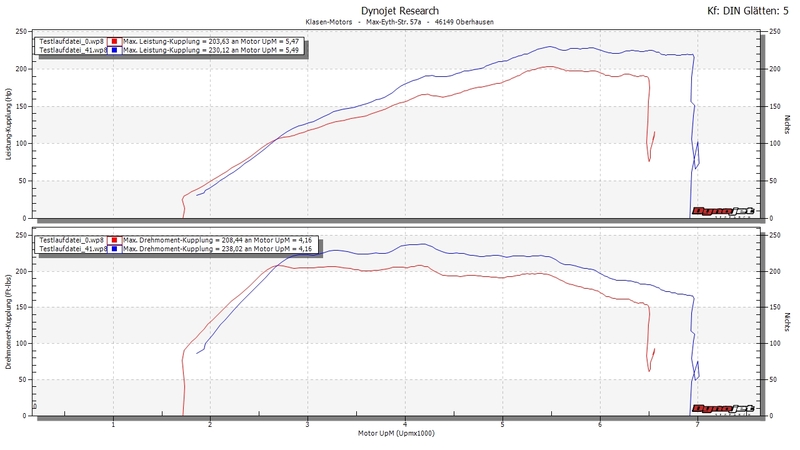 As you can see from the graphs below this power and torque increase is across the whole of the rev range right up to the standard rev limiter. A change of front pipe and the car was put back on the dyno. Following a good amount of recalibration and load testing runs the power further increased to 237 bhp and 238 lbs ft of torque. At this time Stephan wants to keep the toque at this level for the safety of the pistons. You can see from the Stage 1.5 graphs the rev limit has also been increased to complement its improved breathing and this the shift light function has also been lifted. A full exhaust system has now been fitted to the car and mapping work for this will continue as soon as the car arrives back from KW who are currently using the car for suspension development; Watch this space…….. This track prepared (and more importantly track used) Astra H VXR came in for mapping to give it a performance improvement in the short term to compliment the other modifications which have been specifically aimed at making a good useable trackday car. Lightweight Team Dynamics 18″ alloy wheels help with unsprung weight and improve acceleration and turn in and also allow the 356mm 8 pot K Sport brake kit to sit neatly behind. DAP springs and a Whiteline rear anti-roll bar are the current chassis upgrades. A full exhaust system has also been fitted to help with improving flow and compliment the ecu remap. Turning to the interior, a rear half cage has been bolted in to enhance the structural rigidity of the body, which also improves the handling and offer the obvious safety benefits, the interior has been partially stripped to reduce weight, the heavy factory front seats have been replaced with Recaro Pole Positions, a massive weight saving and also allowing the use of front seat harnesses.